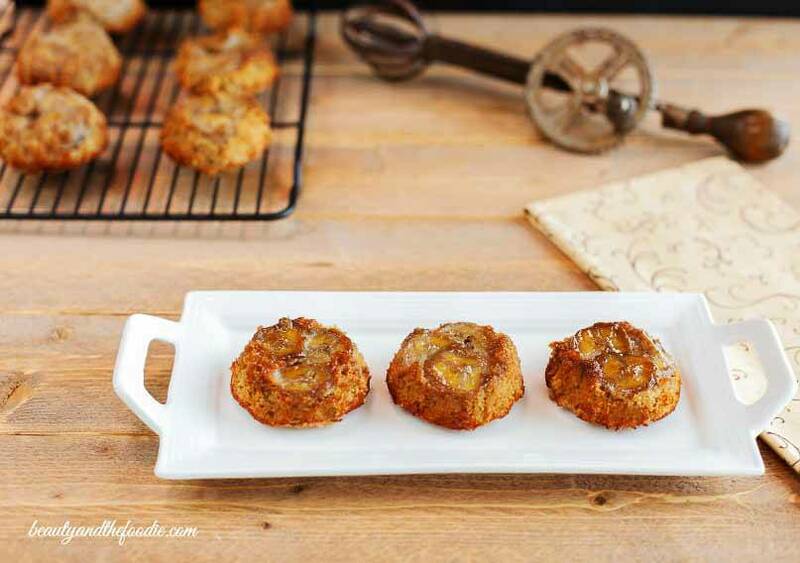 Grain free, paleo Cinnamon Caramel Banana Mini Cakes. 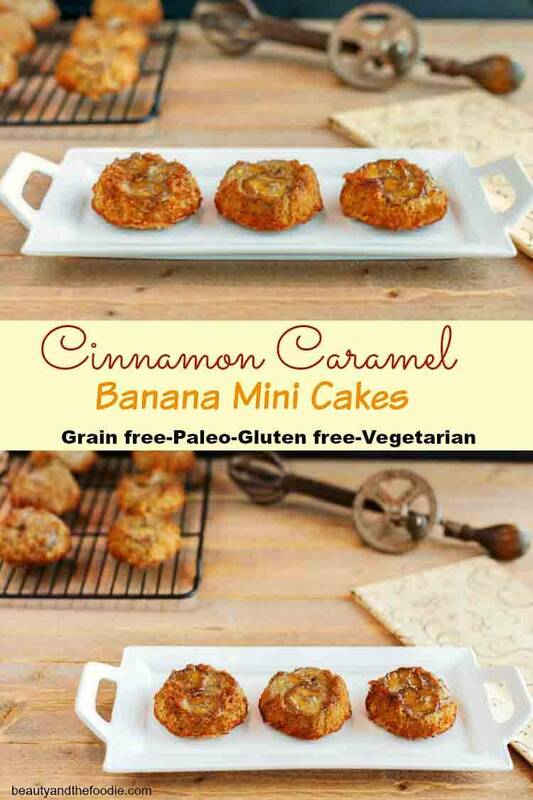 Cinnamon Caramel Banana Mini Cakes are grain free paleo mini banana upside down cakes with cinnamon caramelized bananas on the bottom. 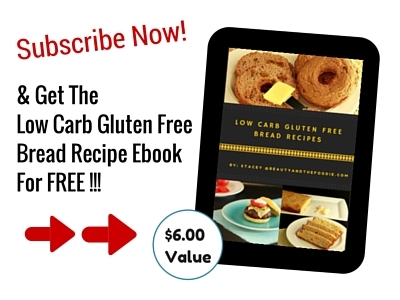 These are not very low carb, but they are a healthy paleo treat. 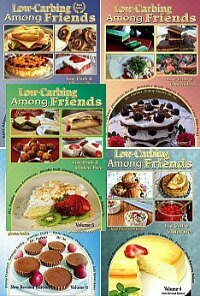 These would be an option if your in maintenance phase of the low carb diet. 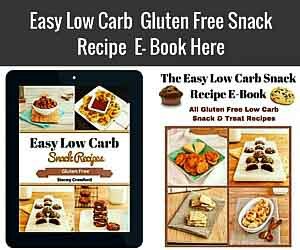 I made these in a muffin pan to have portion control and ease of storage. These were delicious and could be made in advance and reheated throughout the week. Preheat oven to 350 F. Grease or oil a 12 cup muffin pan. In a medium mixing bowl combine: 2 ½ tsp melted butter or coconut oil, 2 ½ tbsp coconut sugar and ¼ tsp cinnamon. Mix together and dividing equally, place at the bottom of each muffin cup. Sprinkle crushed nuts on top of mixture in each muffin cup and place three banana slices in each muffin cup. Set aside. In a large mixing bowl combine all the banana cake ingredients and stir until thoroughly combined. 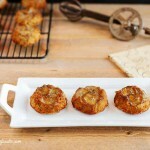 Divide banana cake batter equally and place in each muffin cup on top of banana slices. Smooth and cover slices evenly with the batter in muffin cups. Bake for 25 mins or until toothpick comes out on center clean. Remove from oven and cool. Once cooled, use a butter knife in between muffin and pan cups and slide around to loosen. Turn mini cakes upside down onto a serving platter. 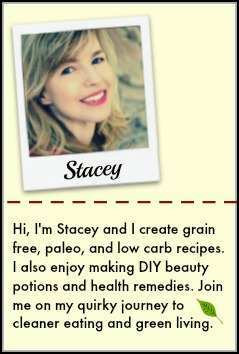 Rachel, I have been trying to back link to related recipes and posts for SEO. And your cookies are a nice & simple banana recipe.